Trucking Jobs are in High Demand and are expected to grow by 21 percent through 2020, according to the U.S. Bureau of Labor Statistics.The U.S. trucking industry is expected to create more than 330,000 jobs by the end of the decade. This expected growth coupled with current driver retirements, recent regulations, and competition from other sources, will put Trucking jobs in high demand. Trucking companies are motivated to find new drivers and are becoming more aggressive in trying to retain their current employees by offering bonuses, pay incentives and better working conditions. During this period, the trucking industry is expected to create more jobs than all but seven other occupations including registered nurses (711,900 additional jobs), retail sales workers (706,800 jobs), home health aides (706,300 jobs), personal care aides (607,000 jobs) and office and other clerks (489,500). As many sectors of the job market still struggle, a career as a driver may be just the ticket to get you on track. Here are some other reasons why a career as a driver is appealing. Since well-trained truck drivers are in such high demand across the country, new drivers are able to enjoy high starting wages. As drivers gain more experience behind-the-wheel, they can earn even better pay. 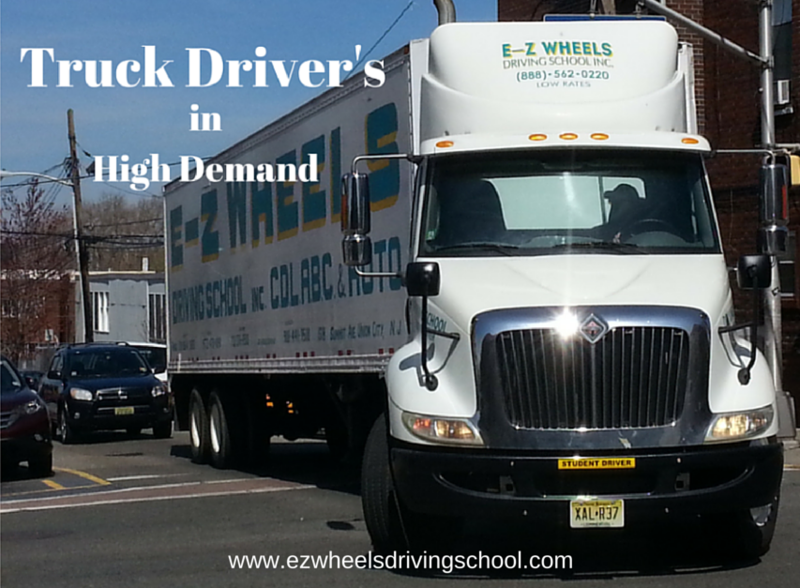 Truck driving is ideal for individuals who want to be able to move around the country and always find a job. 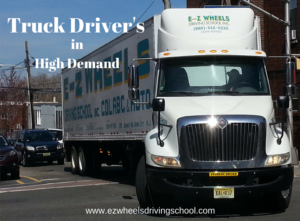 Skilled and safe drivers will always find steady employment since transportation services are in high demand. Complete Coverage Many trucking companies offer complete health benefits including vision, dental, and worker’s compensation insurance for truck drivers and their families. To attract new truck drivers, many companies offer signing bonuses as much as $5,000 in addition to substantial starting wages. You must get or already have a basic New Jersey Driver License first. There are different Commercial Driver Licenses (CDL) classes depending on the commercial vehicle that you will be driving¬. Each CDL class has its own regulations.